This 2e of Toxoplasma gondii reflects the significant advances in the field in the last 5 years, including new information on the genomics, epigenomics and proteomics of T. gondii as well as a new understanding of the population biology and genetic diversity of this organism. 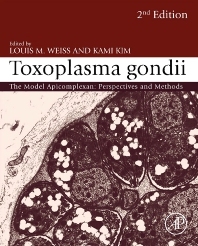 T. gondii remains the best model system for studying the entire Apicomplexa group of protozoans, which includes Malaria, making this new edition essential for a broad group of researchers and scientists. Toxoplasmosis is caused by a one-celled protozoan parasite known as T. gondii. The infection produces a wide range of clinical syndromes in humans, land and sea mammals, and various bird species. Most humans contract toxoplasmosis by eating contaminated, raw or undercooked meat (particularly pork), vegetables, or milk products; by coming into contact with the T. gondii eggs from cat feces; or by drinking contaminated water. The parasite damages the ocular and central nervous systems, causing behavioral and personality alterations as well as fatal necrotizing encephalitis. It is especially dangerous for the fetus of an infected pregnant woman and for individuals with compromised immune systems, such as HIV-infected patients. 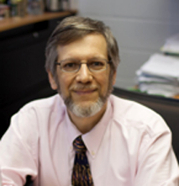 21.2 Small Molecules as Tools: To Monitor or to Modulate?